a.) excellent instructions included with the sails and online. b.) helpful rigging aids and instructions on the sails. c.) straight forward, easy rigging procedure; many cam sails can be a nightmare to rig; not Infinities. 2.) RDM compatibility: I’m not aware of any other cam sail that works as well with RDMs as Infinities do. And I HATE breaking masts! 3. )Stability: I’ve been windsurfing for over 30 years (beginning in 1979) and my shoulders have paid the price. I doubt that I’d still be sailing were it not for the amazing stability of my Infinities, which allows me to make full use of my harness, even in the very gusty conditions that are the norm at my local pond. 4.) 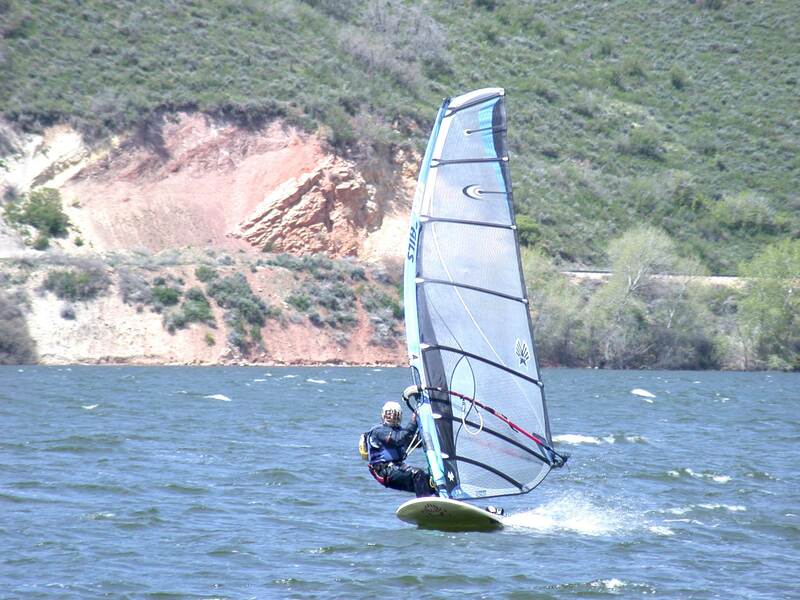 Range: I sail primarily on a mountain reservoir in wind that’s constantly waxing and waning. Prior to switching to Infinities, I used to spend half my time rigging and re-rigging. Now it’s unusual for me to rig more than one sail per session. 5.) Quality (and resultant durability): meticulous attention to detail in design, use of the the best materials available, and superb workmanship. I’ve been building my quiver of Infinities (5.3,6.0,6.6,7.2,7.5,8.5,9.5) since 2003, and I use them a lot (107 days last year.) They’re all still in good shape; none has required more than minor repairs.